Play ball with this cast of sports charcters. 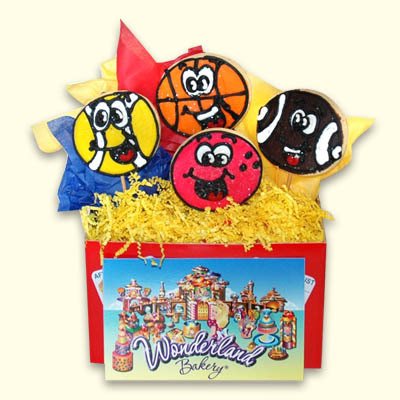 Originally created by Author Cari Garfield in her book "After All I Am Just A Ball" we have memorialized her creations in a delicious cookie. 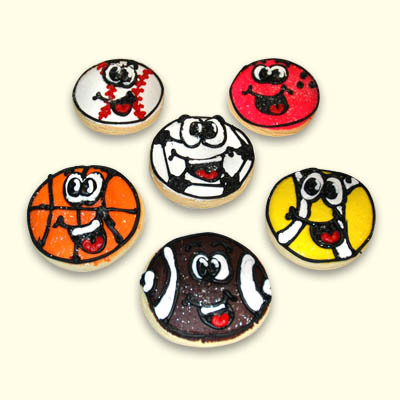 Great for sports, teams, party favors or fun anytime. Order individually or in a bouquet (35.95-125.95, depending on the amount of cookies in bouquet).